If you ever come to visit the Kingdom of Bahrain, then you should by all means visit Amwaj Islands and check its properties for rent. It’s a group of man-made islands located in the Persian Gulf to the northeast of Bahrain, near the coast of Muharraq Island, Amwaj Island is the perfect vacation destination. With plenty of properties for rent in Amwaj; one would never get disappointed from the plethora of living options Amwaj offers. Whether you are searching for one-bedroom, two-bedroom, three-bedroom apartment, a studio, a villa or a penthouse; you will find all what you want and more as Amwaj Islands grew as a beautiful residential hub over the years. Known as the expat favorite, the Island offers visitors with a lifestyle that combines living, work, and leisure, all wrapped within a shell of luxury. Why stay at an expensive hotel when you can have a true and authentic Bahraini experience by renting an apartment in Bahrain's most luxurious real estate projects found only in Amwaj. The island's proximity to onsite 24-hour markets, amazing entertainment hubs and international restaurants make it easy for tenants to enjoy world-class amenities at their convenience. Well connected, refreshing and vibrant, Amwaj offers an exceptional retreat by the sea where one can live, work, relax and just enjoy the mesmerizing views. Get treated like a local and search for properties for rent in Awmaj. Lucky for you, Bahrain is full of many professional listing websites that offer a wide array of properties for rent in Amwaj. You can now rent an unmatched property in the Island's top developed areas such as Floating City, Tala Island, Lagoon and The Lagoon. These areas are full of properties for rent that will make your stay in Bahrain a memorable one. A waterfront and beachfront living that will surely fulfills the needs of luxury living, Amwaj Island properties offer everything from ample of indoor and outdoor opportunities, pulsating nightlife and a lustful of events for the guests to enjoy. From bird watching activities, water activities to the outdoor activities; Amwaj Island provides tenants with exclusive and unrivaled lifestyle with luxurious and spacious apartments with all modern amenities that are designed following the highest standards. 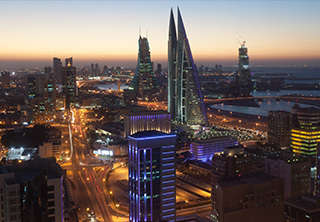 Whether you are visiting Bahrain for business or pleasure, single or with your entire family members, Amwaj Island properties are the ideal living choice. Rentals in Amwaj are affordable and fall within your budget. Why bother and rent miles away from anywhere that is important when Amwaj Islands offers you the best of Bahrain's real estate products. One of Bahrain's exceptional real estate services providers is Weetas Real Estate where its website offers a wide variety of exceptional properties for rent. The company offers professional assistance through its expert team that works 24/7 to find you the property that suits your needs and wants. A local expert with a wide knowledge about the real estate market in Bahrain, Weetas utilizes the expertise of its professional residential real estate agents to hook you up with the perfect property.